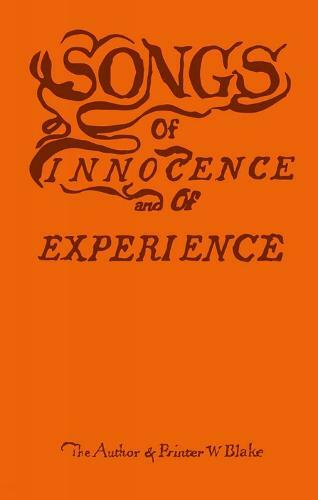 "Songs of Innocence and of Experience" is a rare and wonderful book, its seeming simplicity belying its visionary wisdom. Internationally recognised as a masterpiece of English literature, it also occupies a key position in the history of western art. This unique edition of the work allows Blake to communicate with his readers as he intended, reproducing Blake's own illumination and lettering from the finest existing example of the original work. In this way, readers can experience the mystery and beauty of Blake's poems as he first created them, discovering for themselves the intricate web of symbol and meaning that connects word and image. Each poem is accompanied by a literal transcription, and the volume is introduced by the renowned historian and critic, Richard Holmes. This beautiful edition of "The Songs of Innocence and Experience" will be essential for those familiar with Blake's work, but also offers an ideal way into his visionary world for those encountering Blake for the first time.